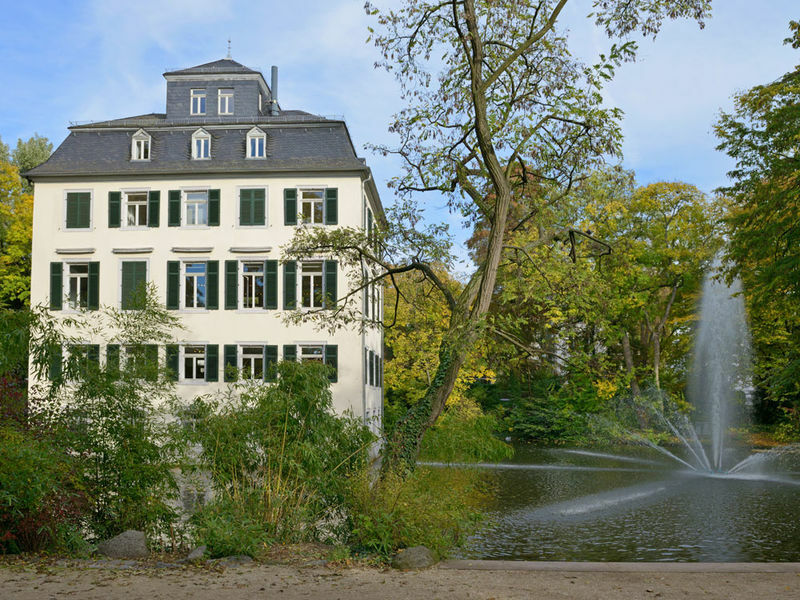 Holzhausen Park - an oasis of green located in Frankfurt's North End district. The park's small castle is a popular attraction for both young and old. The park itself had belonged to the Holzhausen Family since 1500; it was their most significant garden property until 1771, when it became their official place of residence. Holzhausen Castle was built in 1728. Its impressive yet understated architectural design shows many qualities of the French classicistic-baroque style. Only in 1910 did the von Holzhausen Family sell the park to the City of Frankfurt.